Ive spent the whole last week working in Surabaya. The project that im working on is on expansion mode, hence i went around several areas in East Java to monitor and support that implementation. I had spare time on Friday afternoon, so i linked up with my senior in college, mas Nisfu, which is currently department head of my almamater. After few chit chat, he invited me to guest lecture in Leadership and Communication Class. Offered such a great honor and opportunities, i didnt wait a second to say yes. To keep my topic relevant to the class, i decided to talk about how students can better prepare themselves for job hunting. I wrote about this couple years ago here hence i just need to make slides out of it with updated content and context. In summary, i talked about how the rising of digital ecosystem in Indonesia made these current and upcoming years the best time to be IT students. However, there are also thousands of IT graduates which will be competing for a job hence by graduation, they need to be already “job-ready”. Then i described the concept about “job-ready” (inspired by Joel Spolsky post ) and several things students can do in college to setup themselves to be job-ready. The class was amazing. It was probably the most enjoyable teaching experience i had since god know when (i teach class occasionally, so its a hyperbole). All of the student are still in their 2nd semester (2017 class). I was little bit pessimistic at first because material about jobseeking preparation probably wont be exciting for freshman students. However, i was blown away by the enthusiasm and quality of questions they asked. What is the difference between working in established companies and startups ? Is this rising digital trend going to last ? what happen with job prospects when the trend fades ? If i want to work for Tesla, what should i prepare right now ? This is pretty amazing coming from second year students. Couple of times i was taken a back and need couple of seconds to digest and think for the answer. These ITS Information System millenials really exhilarates me, cant wait to meet them again someday. Also, since i went to Surabaya on a company’s dime i also did not forget to slip in some messages from my corporate startup overlord. were looking for cool interns! Were looking for students from any background who wants to experience working in fintech startup and contributing to a positive social impact. Interested ? send your cv to that email address or you can just contact me by commenting in this blog. In the end, teaching is really fun, i should do more of these. . Thank you mas Nisfu for the opportunity to teach. Thank you Information System class of 2017 for the enthusiasm and energy, you guys rock!. My presentation for this class is available for download here. Selasa minggu kemarin, saya kembali ke kampus untuk menemui dosen wali ketika kuliah dulu yang juga menjabat sebagai wakil dekan FTIF, ibu Mahendrawati. Bersama dengan rekan seangkatan yang juga berprofesi sebagai dosen, kami berdiskusi panjang mulai dari yang ringan (bergosip) sampai hal serius seperti arah perubahan kurikulum baru di jurusan. Salah satu poin diskusi yang menarik adalah kontribusi alumni. Bu Mahe berpendapat hubungan yang erat antara alumni dan almamater berpotensi besar untuk meningkatkan kualitas pengajaran di kampus. Sebagai contoh ketika jurusan merancang kurikulum baru, feedback alumni dapat digunakan untuk menimbang relevansi materi kuliah dengan dunia kerja. Selain itu, alumni bisa menjadi rujukan mahasiswa mulai dari sekedar menghubungkan dengan dunia industri (untuk internship, magang dsb) atau sekedar memberikan satu dua tips tentang job-seeking. 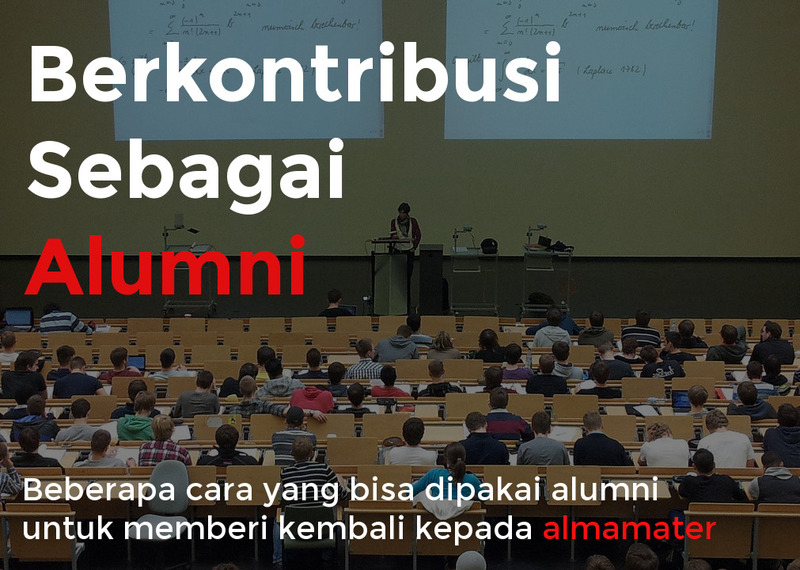 Problem yang dihadapi adalah availabilitas alumni. Dengan asumsi mayoritas alumni bekerja di Jakarta, dibutuhkan komitmen yang tidak sedikit baik dari sisi biaya maupun waktu untuk mampir ke ITS. Menurut saya, salah satu solusi membangun koneksi alumni-almamater ditengah hambatan jarak adalah memberikan beberapa opsi keterlibatan dengan variasi tingkat komitmen. Idealnya memang alumni datang ke kampus dan sharing ke mahasiswa atau diskusi dengan dosen. Tetapi dengan memanfaatkan internet dan sosial media, banyak kontribusi yang bisa diberikan tanpa harus berada di tempat. Like thousands of us, i had a dream to be a rockstar back in my high school years. With minds infused by MTV Afterskool Rocks, its hard not to imagine how cool it is to create headbanging music, get crazy on stage and embarks on a tour. That dream not turned to be true, however im working in the field of my other passion which is technology. Last monday, i got a chance to experience something which was close to having a band gig. 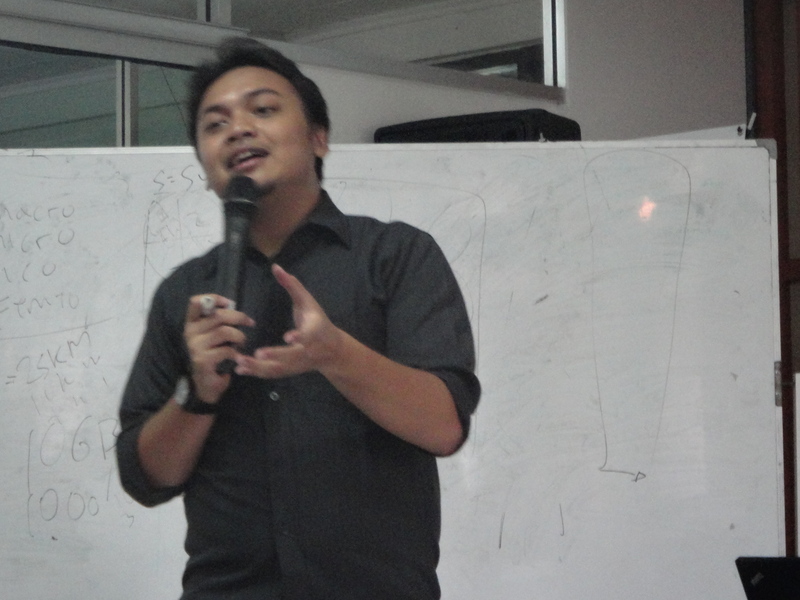 I went back to my almamater and delivered guest lecture on mobile networks. It all started with my chat with mas Soni, my senior compatriot in campus and also a lecturer now in the almamater. I volunteered to do share some technical insights on telco industry. Good for me, mas Soni took it excitedly and upped the challenge by offering to teach two class in two days. That sounded like a sweet deal.